While I haven’t been privy to the entire Luis Gutiérrez – AKA Robert Parker’s flying wine critic to Argentina – array of points, one thing I do know: a white Argentine blend picked up 92 points. Agustina de Alba and Juampi Michelini. 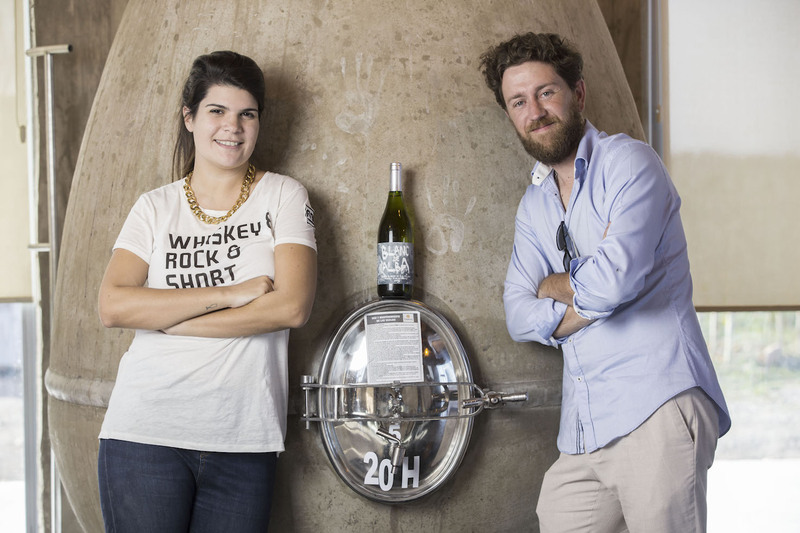 My mate Agustina de Alba – executive sommelier at one of Buenos Aires’ top restaurants – and enologist Juampi Michelini – he of the legendary Mendoza winemaking family – steered clear of MALBEC for their first collaboration. And the risk paid off. Though just 2,400 bottles were made, Gutiérrez sampled it on his recent Argentina visit, and gave it a notable 92 points. With a handful of whites picking up 90+ Parker (Gutierréz) points including Gerardo Michelini’s JiJiJi Chenin Blanc 2015 and Matías Michelini’s Agua de Roca 2014 made from Gualtallary Sauvignon Blanc, the buzz words in Argentina right now are Uco Valley and Michelini.